This week we have learnt some more friendly letter sounds and these have been: ‘ow’ as in cow, ‘oi’ as in oil and ‘ear’, found in words such as fear, hear and dear. We have also been spelling out words with all these sounds using Floppy’s Phonics programme on the interactive whiteboard. We have continued to look at the red words which are the more irregular words that we need to learn. In Maths this week we have been looking at length and how to describe how long, tall or short things were. 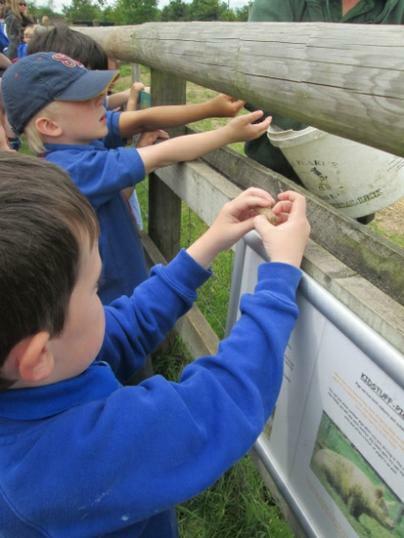 We did this using a farm theme as we were visiting the farm. Looking at various animals we would find on the farm we ordered them from tallest to shortest. We also looked at some snakes on the whiteboard and did some problem solving as the worms were not facing the same way. Therefore the children had to discuss how we could find out which was the longest and shortest snake. We had some great ideas and some children remembered that we could indeed use a ruler! We have also been doing some revision on number bonds to ten, doubles of numbers and addition. Also we have been looking at rote counting up to 100 and counting in 2’s, 5’s and 10’s. 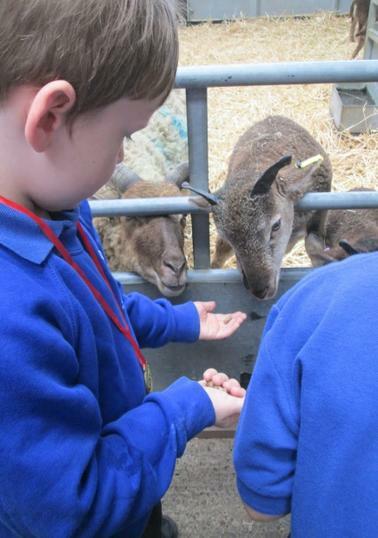 This week in Literacy we have been looking back on an old favourite traditional tale of ‘The Three Billy Goat’s Gruff’ as we were lucky enough to see some goats at the farm and it linked into size ordering and using the mathematical vocabulary. The children really enjoyed looking at this story again and because they had remembered it so well, were able to join in. 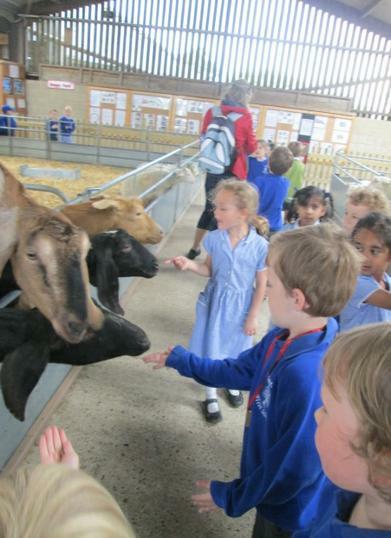 For our writing this week the children wrote about their favourite part about the trip to Odd’s Farm. The children’s writing skills are developing really well as they now know a lot of the phonic sounds so they are able to relay this in their writing and sound out their sentences using this knowledge. We had some fantastic sentences and it really showed in the children’s illustrations as well that they had a lovely day at the farm. 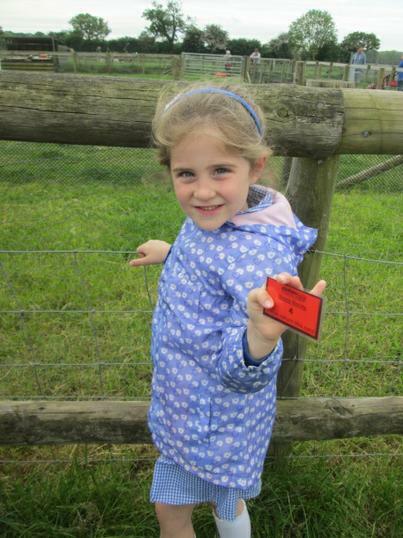 Of course the highlight of the week was indeed the school outing to Odds Farm Park! 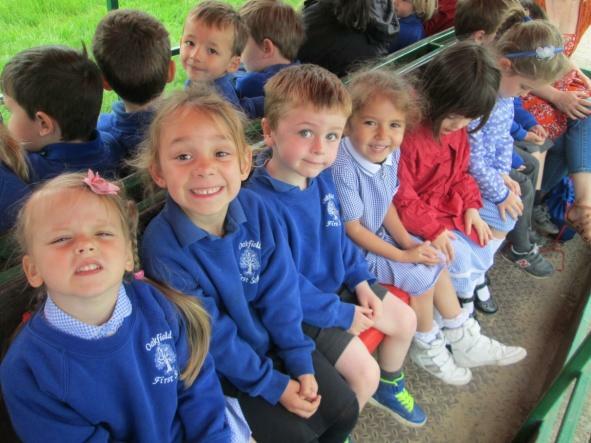 The children came in buzzing with excitement and we headed off for our first big school trip. At the farm we had a fun packed day with lots to see and do. 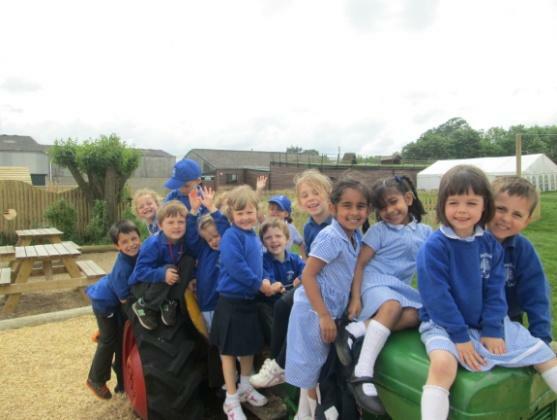 Firstly we went on a tractor ride around the farm and saw some cows, sheep and goats. 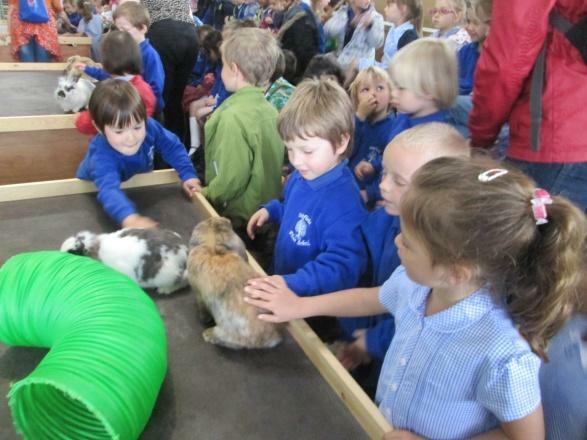 After this we went to the animal barn to see some lovely bunnies and have a handling session. 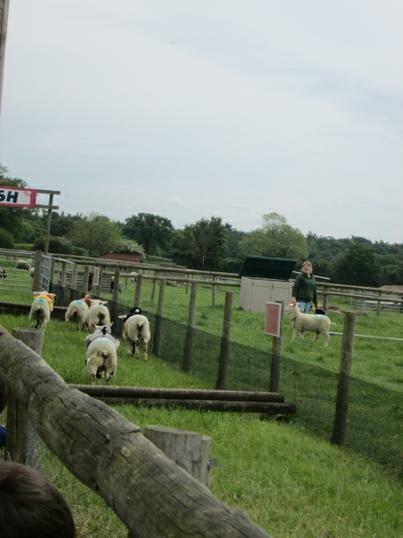 Next we went to one of the highlights of the say which was the sheep racing! 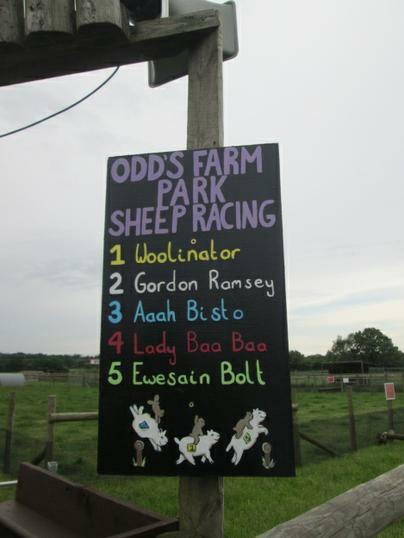 The sheep had some fantastic names that really amused us all (especially the adults! 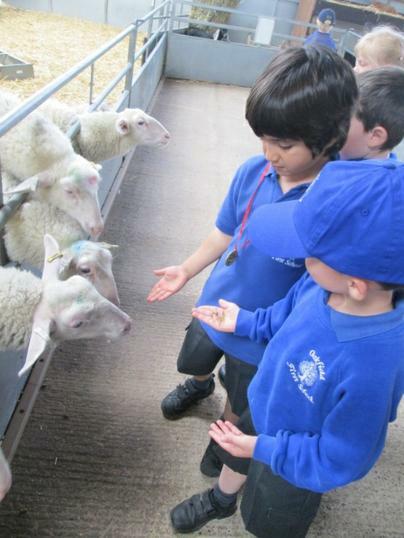 ).The children each chose a sheep to cheer on and got a betting ticket. 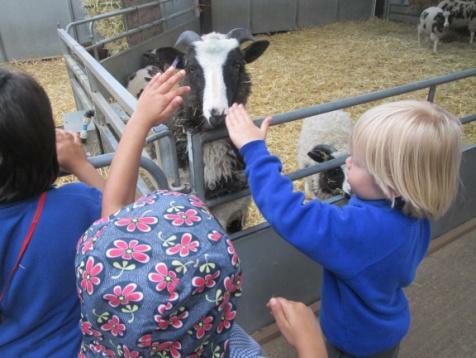 The children found this a lot of fun and so did Mrs Wilkinson who got very excited about her sheep coming first! After lunch we had some time to play in the new sand and water play area and then on the big climbing frame. To finish off our afternoon we went along to see Piggy Lunch Time where we met Kate the pig and her twelve piglets that were very cute and funny. We all got the chance to feed the pig with a special pellet. Lastly we went to the feeding area to feed some very hungry and excitable goats and sheep. One of the goats climbed up on the fence and leant over Mrs Turrall’s shoulder! This made us laugh. We headed back to the coach where a few us had a little doze as it was a very busy fun packed day! 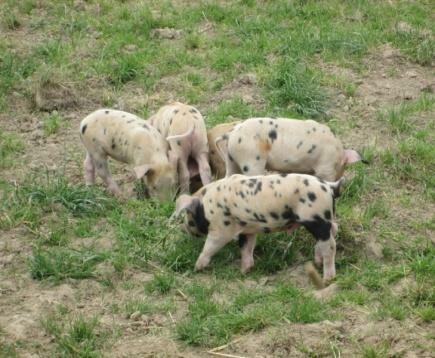 Here are a select few pictures from our day at Odds Farm.